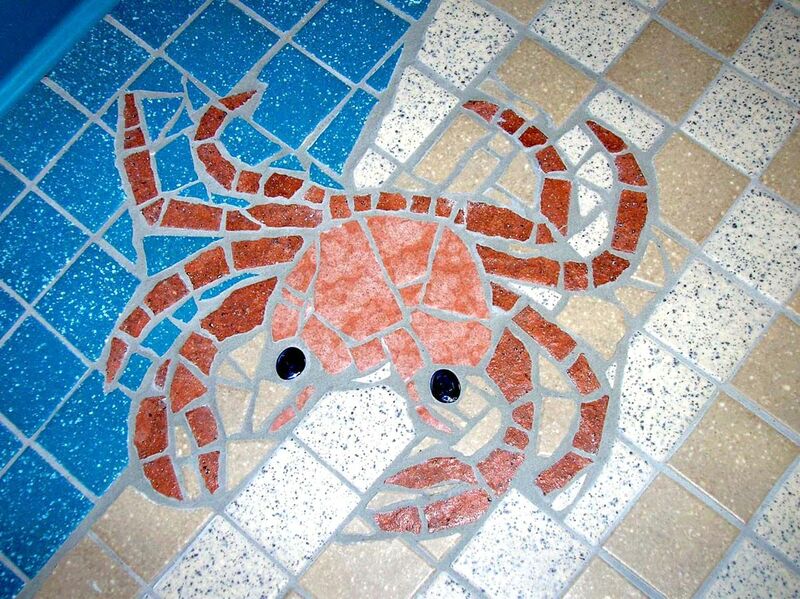 When the local gym, In Motion Fitness, decided to expand their kids wing, they called me in to add some fun mosaics. They had plans for an entire�wall of salt-water fish tanks so they wanted to have an under-sea theme to go with it. 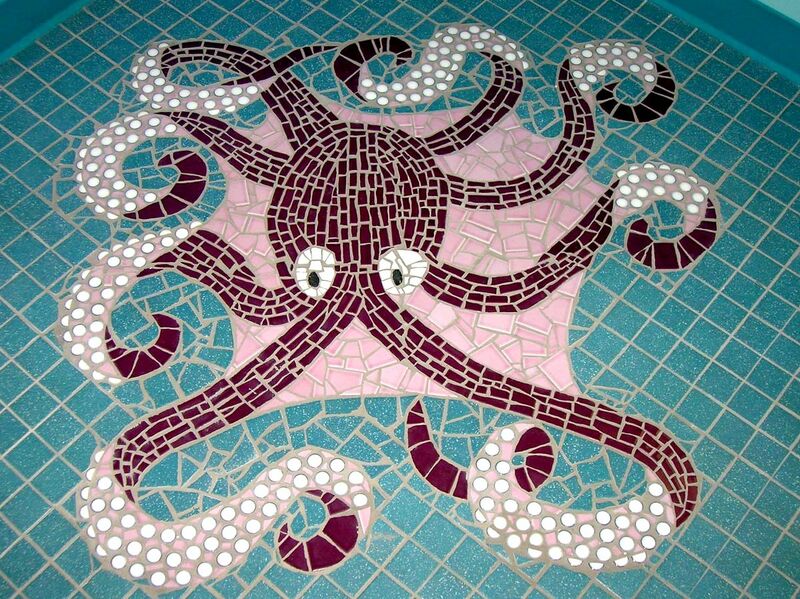 After I drew up a few designs they decided to go with a large octopus at the entryway with two crabs inlayed into the floor tile as you walk forward. 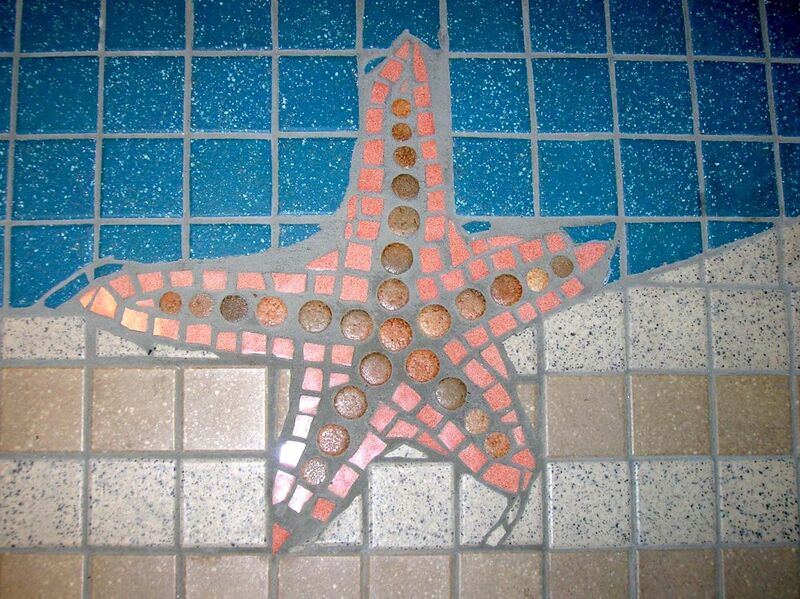 By the time you reach the front desk you will also have spotted three sea-stars and a family of sea turtles. 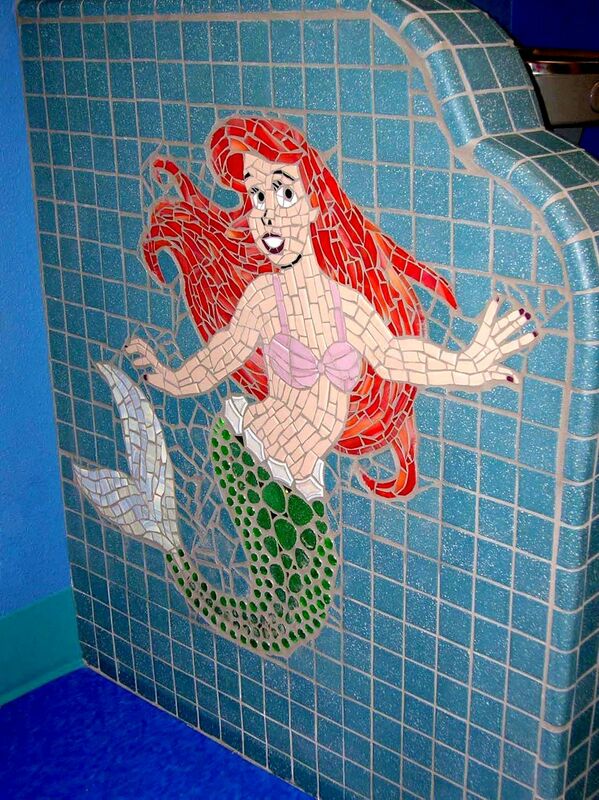 Once you are inside you can’t help but recognize a familiar looking mermaid by the drinking fountain. The kids just go wild�when they see her! This section was completed in the fall of 2006. 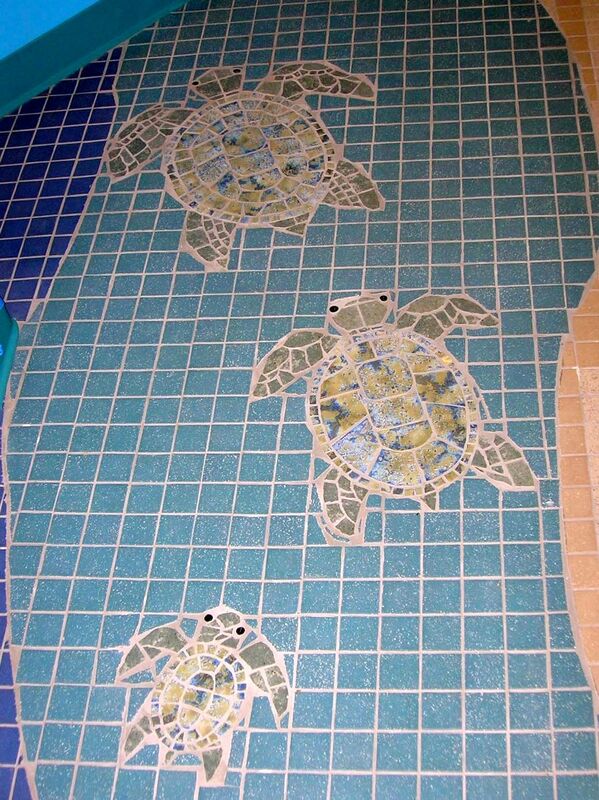 Early the next year they decided to grow their mosaic collection even further and commissioned me to do some wall work. Now on the wall is a 14′ long orca mosaic with a dry-erase board in the center for the staff to write the daily program on. 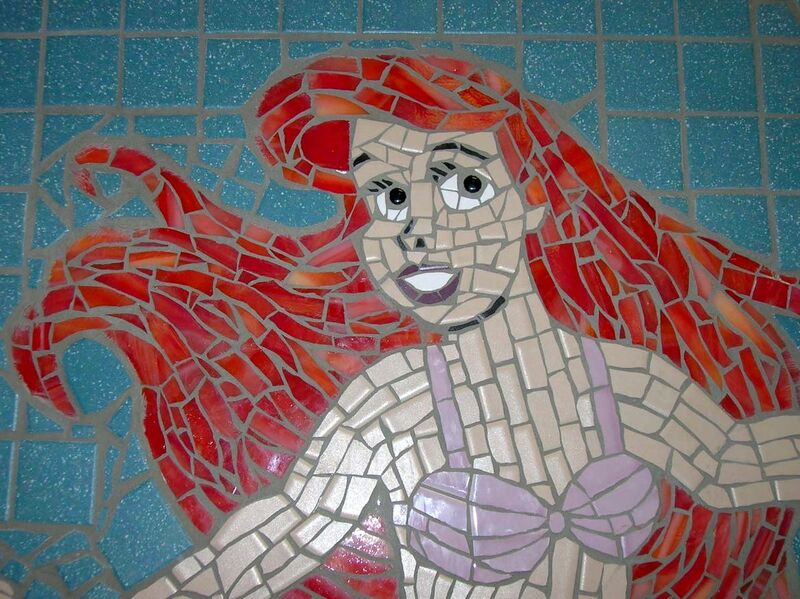 By the front door there is a sea-shell and sand themed mosaic frame on the 12′ x 4′ bulletin board.